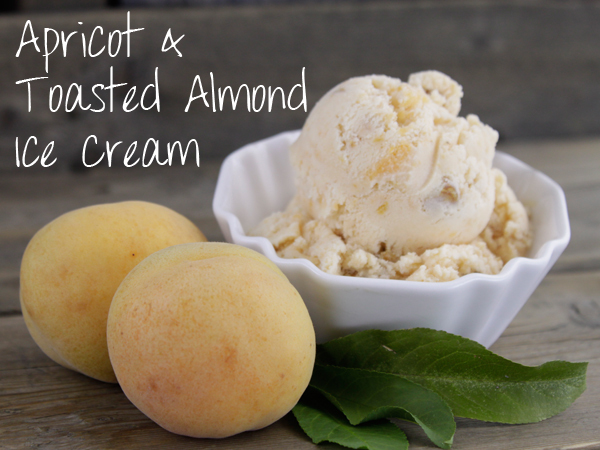 Mash or blend together the apricots, lime juice, and almond extract. Stir in the sugar, then the whipping cream and milk. Set aside. Preheat the oven to 500˚F. Loosely chop the almonds and spread into the bottom of a glass pie pan. Toast the almonds in the oven for a few minutes, be careful not to burn them. Toss the almonds into the fruit/sugar/milk mixture and stir. Pour mixture into the canister of your ice cream maker (make sure the paddle/blades are in first) and chill according to your machine's instructions. When it is finished, transfer to a freezer safe container and chill in the freezer to firm up more.